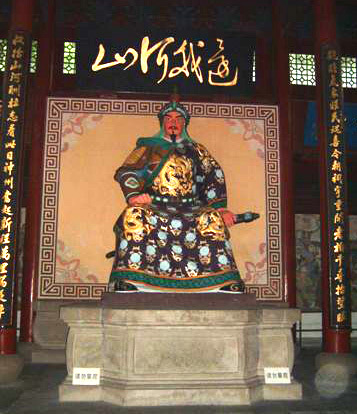 General Yeuh Fei, famous for his many successful battles against the Mongol Jurchen tribes invading China from the North, he created a system of close combat fighting skills for his troops that were battle tested and proved extremely effective in use. This material consisted of 33 short rows or lines of linked combat techniques and was known as Yue Shi San Shou, and the 108 seizing and locking skills of Eagle Claw. The Shaolin temple known far and wide for its Shaolin martial arts absorbed these fighting drills through the eminent monk Li Chun who had changed on seeing the Yue Shi San Shou fighting drills. Monk Li Chun taught these skills inside the Shaolin temple and they were passed down through the generations until the Ching dynasty where Monks Doa Ji and Fa Sheng who were at Mo Zhou temple in TianJin area of Hebei in North China were met by Liu Shi Chun a travelling tobacco sales man from GuJuang To Chun a small village North East of Beijing in the district of Baodeen Hebei Province. Liu Shi Chun was well versed in martial arts having practiced Ba Fan Shou 8 Rotating/Tumbling palms (sometimes also called Faan Tzi Chuan Rotating Fist) and Liu He Chuan (Six Harmonies Fist). While travelling Liu Shi Chun took refuge from a severe rain and thunderstorm at the small Mo Zhou temple in TianJin, during the evening he practised his Ba Fan Shou and Liu He Chuan, Dao Ji and Fa Sheng saw him practising and said his kung fu was ok but only effective to a certain level, this angered Liu Shr Chien who suggested they test his skill. Three times he attacked and three times he was quickly defeated by the Yue Shi San Shou Eagle Claw fighting skills. Liu Shi Chun so impressed by the skills of Dao Ji and Fa Sheng immediately requested to learn the Yue Shi San Shou Eagle Claw skills, once completing an intensive period of learning he returned back to his home village before then travelling onto Beijing where he taught at the military barracks. During the time Liu Shi Chun taught at the Beijing military barracks he taught many students, some of the more well-known are : Liu De Kuan, Ji Ar & Ji San, Xu Liu and Li Zhengseng. The principle material he taught by Liu shi Chun at the Beijing military barracks were fist empty hand combat spear skills and specifically the Yue Shi San Shou Eagle Claw. 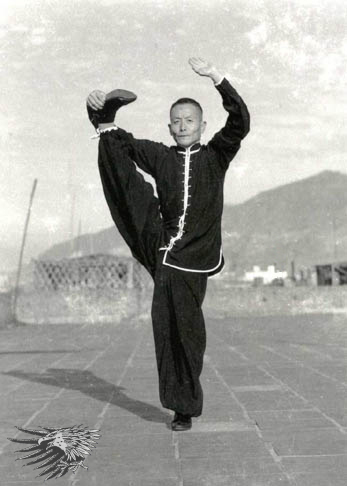 Side note: Liu De Kuan, also went on to learn the Ba Gua Zhang and is noted for creating the Ba Gua routine known as the 64 Linear Palms Tao Lu (Form). This set is based on the straight line practice of the Yue Shi San Shou Eagle Claw, and overlays the principles of Ba Gua Zhang. Liu Chung You of Gu Juang To Chun (Liu family) village in Bao Deen Hebei province initially learned the Yue Shi San Shou Eagle Claw skills from his uncle Liu De Kuan, when Liu Shi Chun returned back to the family village Liu Chung You continued his learning and advanced directly from Liu Shi Chun. Liu Chung You was known for be a harsh and strict teacher, paying great attention to detail and method of practice alongside functional application. He only accepted a few students who he taught at his home, one was his son Liu Chi Wen he also taught his nephew Chen Tzi Ching (Chen Tzi Ching was from Li Ling Juang village and son of Liu Chung You’s sister). Liu Chi Wen taught many students at his family home and also in the village training group, some of those students taught were Liu Fa Meng (nephew), Li Bao Ying, Li Bao Han, Liu Shu Yuen, Liu Su Pu, and others. During the early 1900’s the famed Shanghai Chin Woo Hui (athletic association) was started by Huo Yin Jia from Tian Jin province (near Beijing). The Shanghai Chin Woo was created to be a centre of excellence in martial arts and physical education, strict standards of learning were laid down to ensure standards of martial practice were available to all students who joined and publicly open to all. With such a large student base there were many instructors at Chin Woo. Each contributed to the association, creating a standard set of 10 routines (Tao Lu/Forms) that should be learned by every student before specialising in a specific style or system. After Huo Yuan Jia’s death, Zhao Lioanhuo (Chief Instructor on Huo Yuan Jia wish) sent out invitation (letters) to different martial arts families. One of the first teachers to respond was Chen Tzi Ching of the Eagle Claw system. Great Master Chen Tzi Ching played a pivotal role in the growth and development of the Eagle Claw system, not only while at the Shanghai Chin Woo but also re-ordering training sequences and forms, enhancing practice methods. It is suggested he introduced the well-known staff routine Gwan Yueng Kwan (Sheppard Staff) to the curriculum at Chin Woo. Such was his fierce reputation he was named while at Chin Woo the “Eagle King of China”. 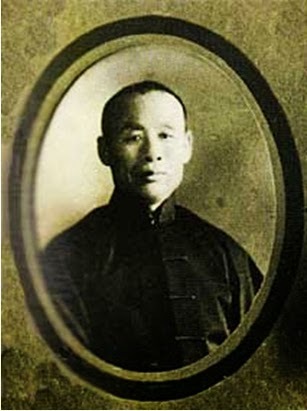 Grand Master Liu Fa Mang was born in 1902, the nephew of Liu Chi Wen and close relative of Liu Ch’ung Y’o, who was a student of the Eagle Claw Founder Liu Shr Chun. 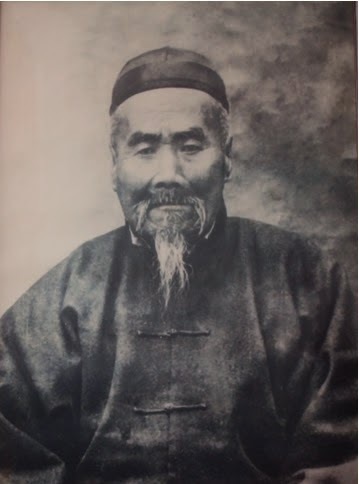 At around the age of 19 Grand Master Liu Fa Mang was requested to travel to the famous Shanghai Chin Wu Association by Chen Tzi Ching who had travelled back North to request help from his class mate Liu Chi Wen and send students back to Shanghai and help with teaching Eagle Claw there. In 1929 Grand Master Liu Fa Mang was requested travel to Hong Kong as Head instructor for the new Ching Wu martial arts academy, this was a very famous period of growth for martial arts in Hong Kong and lead to its introduction to the West. While in Hong Kong he became well known with two other famous Northern Kung Fu Masters Yip Yuh Tin and Kan Tak Hoi of which the three were great friends and became known as the three Heroes from Hebei. 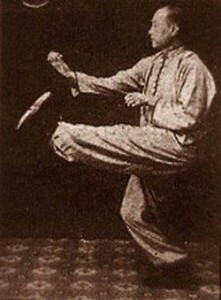 The Late Great Grand Master Liu Fa Mang’s specialties was that of a unique form/routine called Jiu Liu Tong (Six Drunken Falling Form). As China became embroiled in war Grand Master Liu was requested by the Nationalist army in training the troops. While his military career was brief, Grand Master went on to become a national war hero. From 1933 to 1936 he organized and trained a Special Forces troop named the 19th Regiment Dai Do Brigade (Dai Do is a type of Big Sword). The exploits of the Dai Do Brigade are legendary and are still a point of pride in China today. 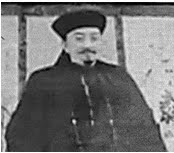 After the war Late Great Grand Master Liu Fa Mang opened his own school in Hong Kong and taught there for several years. Toward the end of his career he retired to the Cheung Chau Island in the New Territories of Hong Kong and taught only his 5 children, family and close students. Grand Master Liu Fa Mang was considered a Zheung Mun Yan – or standard bearer for Eagle Claw – a position only gained by those of the very highest skill – those that are able to carry the legacy of the Eagle Claw system in its entirety to pass onto the next generation. Sadly in 1964 Grandmaster Liu Fa Mang passed away after a short illness with double pneumonia. Grand Master Liu’s legacy lives on through the many students he taught, also two of his daughters and one son are teaching in the USA. Since that time, the Eagle Claw system has now spread far and wide across the world. Thanks to the efforts and development by all the past masters and current practioners.